In the absence of new federal legislation on climate change, the Clean Air Act (CAA) has provided the primary basis for federal regulation of greenhouse gas emissions. The Sabin Center conducts legal research on how the Environmental Protection Agency (EPA) can use this statute to achieve nationwide emission reductions consistent with our policies and international commitments. Our work focuses on using CAA sections 111 and 115 to control greenhouse gas emissions. This report explains how EPA could regulate greenhouse gas emissions under Section 115 of the Clean Air Act, which authorizes EPA to require states to address emissions that contribute to air pollution endangering public health or welfare in other countries, if the other countries provide the U.S. with reciprocal protections. The language of Section 115 does not limit the agency to regulating a particular source-type, or a given industrial or economic sector. Rather, it grants EPA and the states broad latitude to address international air pollution comprehensively through the Clean Air Act’s State Implementation Plan process, increasing administrative efficiency and reducing burdens on regulated companies. EPA and the states could use the provision to establish an economy-wide, market-based approach for reducing GHG emissions. Such a program could provide one of the most effective and efficient means to address climate change pollution in the United States. An executive summary is available here. This report was also published in Volume 28 of the Georgetown Law Review. The law review article is available here. 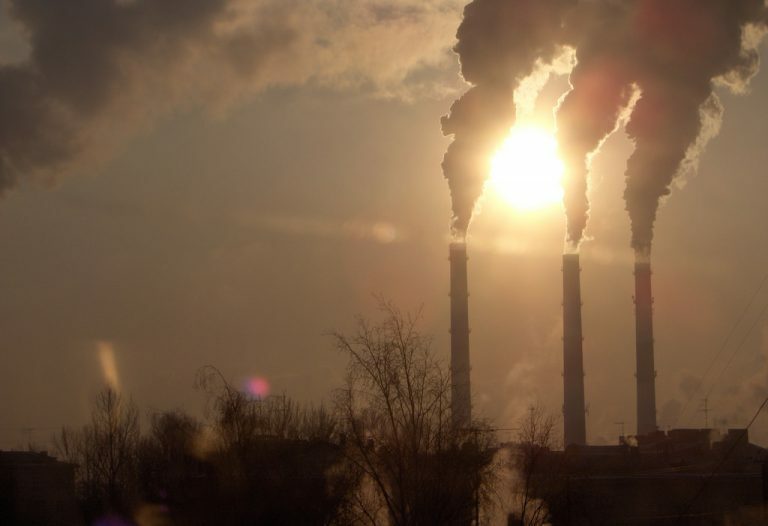 This amicus brief was written on behalf of eleven carbon capture and storage (“CCS”) experts in support of EPA’s emission standard for new coal-fired power plants. The standard is based on the CO2 emission reductions that can be achieved through the implementation of partial CCS, and one of the central issues in the case is whether CCS technologies are adequately demonstrated and available for installation at coal-fired power plants. The brief contains ample evidence corroborating EPA’s determination that these technologies are an adequately demonstrated system of emissions reduction for new coal-fired power plants. More than 50 city and county governments from 28 states, together with The U.S. Conference of Mayors (USCM), the National League of Cities (NLC), and the mayors of Dallas, Knoxville, and Orlando have signed an amicus brief explaining why the EPA’s Clean Power Plan is critical to the safety and economic security of local communities across the United States. The brief was authored by the Sabin Center for Climate Change Law at Columbia Law School. See also: Amicus Motion on Behalf of Cities in Support of EPA’s Clean Power Plan, Michael Burger (December 2015) and related Press Release (April 2016); Press Release: More Than 50 Cities Press Court to Uphold Clean Power Plan, Citing Climate Change Risks (April 2016). This paper answers basic questions about EPA’s authority to issue federal implementation plans (FIPs) for the Clean Power Plan regulations that EPA is issuing under Section 111(d) of the Clean Air Act. The essay is organized into three parts: (1) the circumstances under which EPA will promulgate a FIP under Section 111; (2) the content and effect of such a FIP; and (3) the enforcement of a FIP. The discussion is written in an accessible, plain language style that will be understandable to both lawyers and non-lawyers. This essay highlights the reasons that states should think carefully before “saying no” and refusing to comply with EPA’s clean power rules. The essay discusses five consequences of not submitting a 111(d): (1) EPA must impose FIPs that will probably focus on power plants, and states will cede regulatory control to the federal government; (2) Ratepayers likely will fare worse under a FIP than under a state-crafted plan; (3) Temporizing now and deciding to prepare a compliance plan later will involve delays in extracting the state from the FIP; (4) Late compliers may lose important opportunities for efficient compliance and informational benefits that accrue from participating at the outset; and (5) “saying no” to avoid a predicted political backlash is unnecessary. Finally, the essay argues that, because the need to respond to climate change will not disappear, states are better off beginning now to plan their transition to a power system with reduced carbon emissions. The Sabin Center submitted comments on EPA’s proposed rule to regulate CO2 emissions from existing power plants under Section 111(d) of the Clean Air Act (the “Clean Power Plan”). The comments focus on the role of energy efficiency as a compliance mechanism that utilities and states can used to achieve the required emissions reductions under the proposed rule, highlighting some key uncertainties about the inclusion of energy efficiency in state plans and providing recommendations on how EPA can develop a flexible framework that will allow states to experiment with a variety of different energy efficiency measures when implementing the final rule. This page includes links to papers and related research published from 2010 through 2013 exploring how EPA could use the Clean Air Act to regulate different greenhouse gas emission sources.